This hotel is located across the street from Stewart Beach, the historic Strand District and many other popular attractions in Galveston. Accommodations include 62 comfortable guest rooms with complimentary WiFi, flat-screen TVs, refrigerators and other amenities. The hotel also features a fitness center and an outdoor pool. 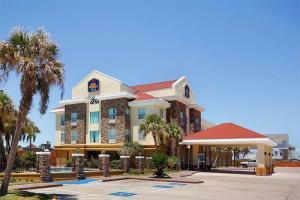 The hotel is well located to the Galveston cruise ship terminal. Located approximately 43 miles from Houston Hobby Airport. Approximately 70 miles from Houston Intercontinental Airport.